Does The Type Of Spring Matter? The variation between the two kinds of garage door springs, extension and torsion, comes in how they create and store energy. They both use this energy in the same way, lifting the door up when you need it, but extension does this by stretching out whereas torsion twists instead. While they both achieve the same result of providing the strength needed to get the door up off the ground, extension springs usually wind up requiring more attention. They wear out faster and break more easily than torsion from being pulled to their limit constantly. However, we can take care of either type for you right away! While you may think you can save by taking care of things on your own, in the long run this will likely just result in even more damage to the garage door’s system, and potentially to yourself as well. The springs are dangerous if mishandled, particularly because they’re connected to the weight of the door itself. Any mistakes can cause the door to fall, and the spring itself is liable to snap and harm you if you aren’t careful. In any case, to avoid further problems for your door and any health risks, it’s far safer and more effective to allow our professionals to do it for you. Have you noticed that your garage door seems to struggle to work well, including falling down rather than lowering to a close? We’ll be out in no time at all to get to work on its springs and get things moving swiftly again! Whether they need to be adjusted back into place, or the spring itself needs replacing due to wear or rust, we’ll have it fixed quickly. We use the best parts and equipment around so you can rest assured it will last for a long time. 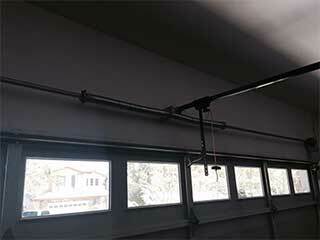 Contact Garage Door Repair Harrisburg and let us get to work on improving your door’s springs today.